In Part-1 of this hacking series, I set the stage for an adventure in home automation hacking. My goal is to start small, grow a system over time, and share the experience. 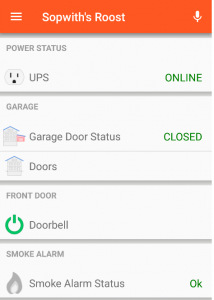 Here in Part-II, we explore my adventures with openHAB. To learn more about openHAB, read Part-I of this series or head over to their web site. I started knowing nothing about openHAB, so I spent a lot if time in the documentation. Next, I burned an image of openHABian and fired it up on a Raspberry Pi 3. In a couple of weeks of study and hacking, I have a working home automation system that is quite cool. 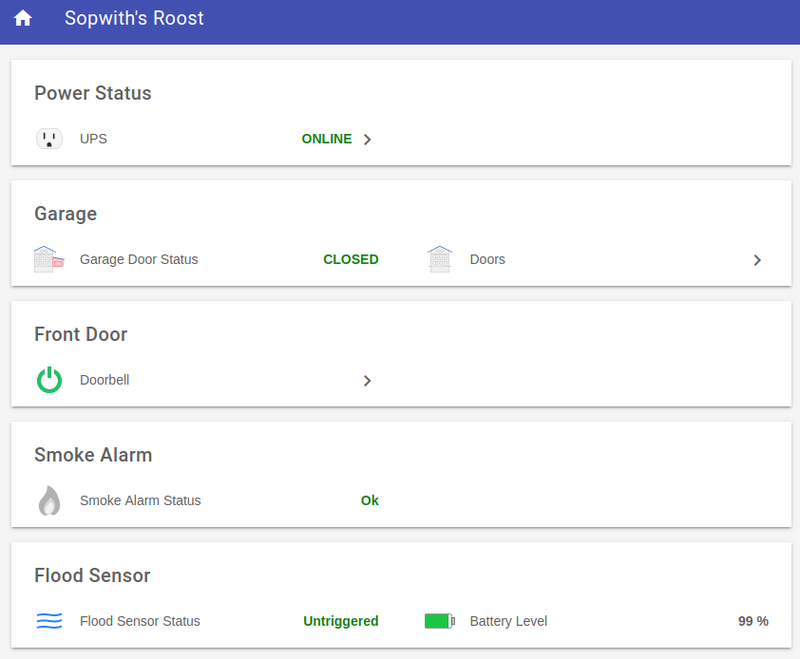 Below is a view of my openHAB system as seen in a browser. 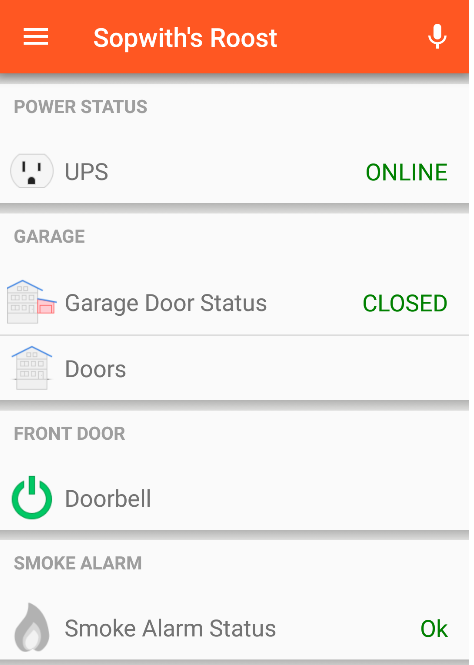 The below screen-shot shows what my system looks like on my Android phone in the OpenHAB app. And this is what a Pushover notification looks like on my phone. Now that I have an understanding of how openHAB works, I will move on to the Home Assistant platform and build the same automation setup. Stay tuned for Part-III. This entry was posted in Code, General, How-To, Raspberry Pi by Sopwith. Bookmark the permalink.